Since switching the reader question responses to Tuesdays, I don’t blog on Mondays. Today I’m going to make an exception to write sort of a meta-post. Categorizing it as an “announcement” would be a little too grandiose. Instead, it’s kind of an explanation for my regular readers and something that I may link back to in the future for reference. I’m reconsidering how I think about the DaedTech blog. Having said that, let me pump the brakes on any speculation about a pivot. There won’t be one. I’m not going to suddenly start blogging about knitting or something. I’m not going to monetize the blog in a different way (except that I did recently remove the paid ads from DaedTech). And I’m definitely not going to stop blogging. I honestly don’t think I’m capable of not writing. I mean it when I say I’m reconsidering how I think about the blog. I’m going to start approaching topics differently and writing somewhat differently. In short, I’m going to back for writing this blog purely for the fun of it. For years, I blogged with nothing much in mind but a love of writing and desire to chronicle my own adventures and opinions. Often, this would take the form of catharsis, satire to amuse myself, or simple how-tos. But then 2016 ended. And, no, it’s not that 2017 was the year of odd blogging restrictions. It’s that I set out some lifestyle goals for myself. The content business that would become Hit Subscribe. A specialized codebase assessment practice. 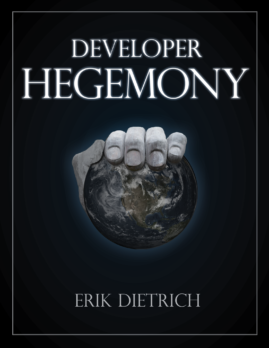 Building momentum from Developer Hegemony, which I had just released, and building info products or otherwise monetizing DaedTech. I didn’t realize it at the time, but this would have a subtle-yet-profound impact on how I thought of the DaedTech site. As someone running a content marketing business, shouldn’t DaedTech showcase that? Shouldn’t I grow organic traffic and show that I’m savvy at that. And, shouldn’t I also figure out subtle ways to prime an audience for eventual monetization, while I’m at it? If I’m going to release a “how to become a consultant” book or a “get started freelancing” video course, shouldn’t I niche and target just the right sort of audience? These questions and others have rattled around in my head enough over the last year to blur my vision. Today, though, my vision seems clear. I participate in a weekly mastermind group (think mutual career development for people without jobs). And, in this group, I floated the fate of DaedTech, got excellent feedback, and synthesized it into a realization. None of these questions I’d been worrying about matter. And they don’t matter because two of those three ventures have gone really well. My wife and I started Hit Subscribe as a way to smooth out the feast-or-famine revenue pattern of the consulting business. But that business has really kind of blown up in the last year, and we’re now nearing 20 people involved and a lot of clients. (And we need more authors, too!) And the codebase assessment practice is a little closer to the vest and harder to explain, but awesome things are happening on this front as well. So juggling two successful businesses already, why spend my time preparing and marketing for a third? Why not just go back to writing for the love of the game? So going back to writing for the fun of it is exactly what I’m going to do. No more thinking about keywords or my ideal market for products that don’t yet exist. I’m not really even going to overthink marketing my existing products (courses and books). I’m just going to write. This might mean short blog posts sometimes (but more likely pretty long ones). It means I’m not going to worry too much about cadence, timing, or anything else about posts. I’ll keep doing reader questions and posts about consulting and such because I like those. And, I’ll also just post about whatever seems interesting. Given that I have no need of a marketing asset or funnel to earn my living, I’m not going to sweat the particulars of the mission that I advise corporate blogs to have. DaedTech is now going back from whence it came. I’ll write about my adventures and thoughts, and hopefully you find them interesting enough to read and even to subscribe. I just stumbled into your blog. Great read so far! My favorite blogs are those that don’t follow a plan or formula. 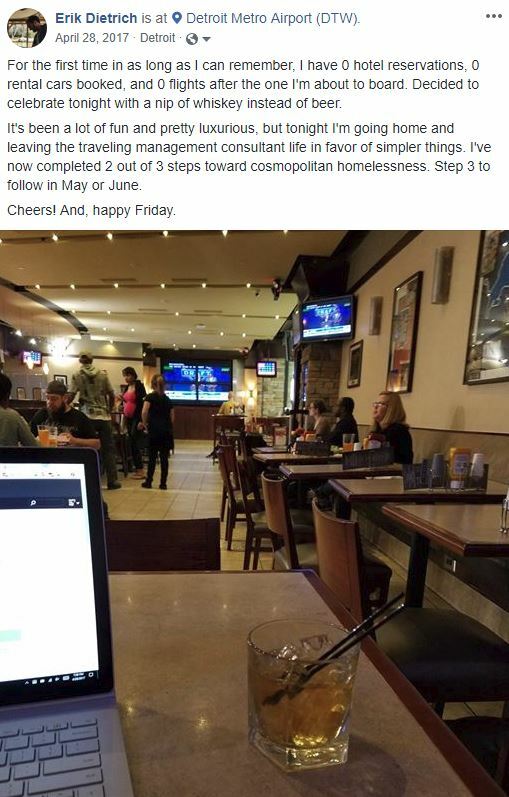 I’m looking forward to your future posts and catching up on your past adventures!